[BEWICK, Thomas], [BEILBY, Ralph]. A general history of quadrupeds. The figures engraved on wood by t. bewick. 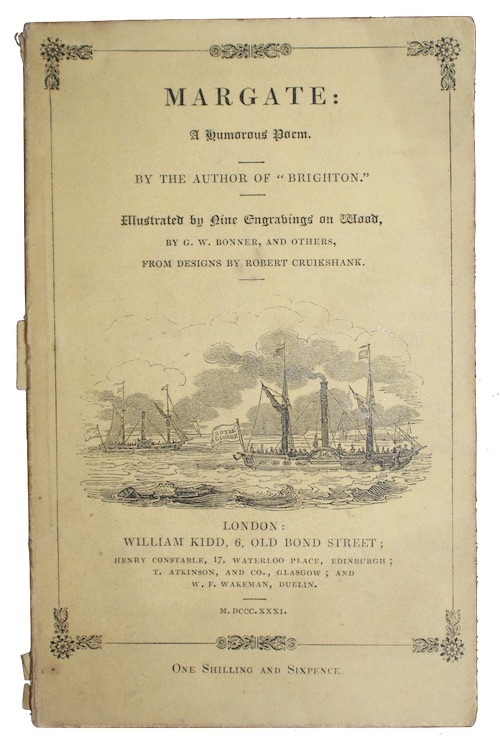 Printed by and for S. Hodgson, R. Beilby, & T. Bewick. 1792. Third edition. x, 483pp, . 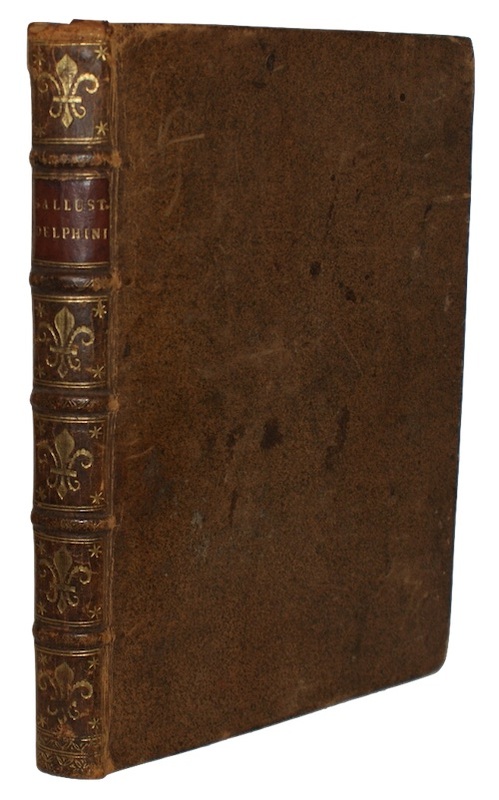 Illustrated with a plethora of wood-engravings by Thomas Bewick. Contemporary half-calf, marbled boards, contrasting red morocco lettering-piece, gilt. Extremities worn. Nineteenth-century gift inscription to FEP, ownership inscription to head of title-page, lightly spotted. WINLOVE, Mrs.. The rise of learning, or ground-work of science. Shewing how good boys and girls By attending to the rules contained in this Book and obeying their Parents and Guardians, may acquire wisdom, riches, and honour. Published by J. Lumsden & Son, [s.d., c.1810]. 47pp, . Illustrated with numerous woodcuts in the text. Original publisher's printed blue paper wrappers, title in manuscript to upper cover. [Bound with:] PUZZLECAP, Peter. Gammer gurton's garland of nursery songs, and toby tickle's Collection of riddles. Glasgow. 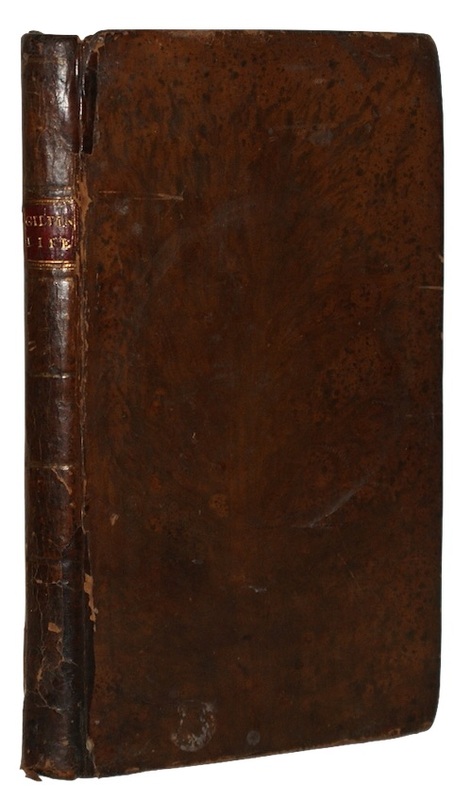 Published and Sold Wholesale, by Lumsden and Son, [s.d., c.1820]. 32pp. Illustrated with numerous woodcuts in the text. Original publisher's pink paper wrappers, title in manuscript to upper cover. [And:] Cottage tales for little people; or, the amusing repository for all good boys and girls. Glasgow. 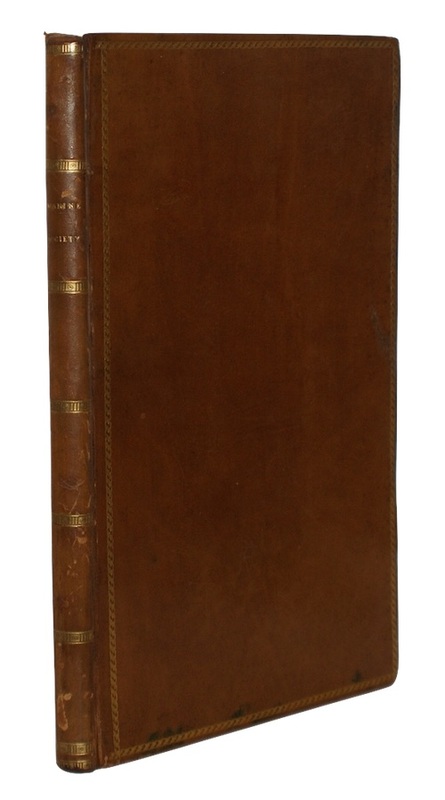 Published and Sold Wholesale, by Lumsden & Son, [s.d., c.1820]. 32pp. Illustrated with numerous woodcuts in the text. Original publisher's pink paper wrappers, title in manuscript to upper cover. [And:] The child's instructor, or Picture Alphabet. Glasgow. 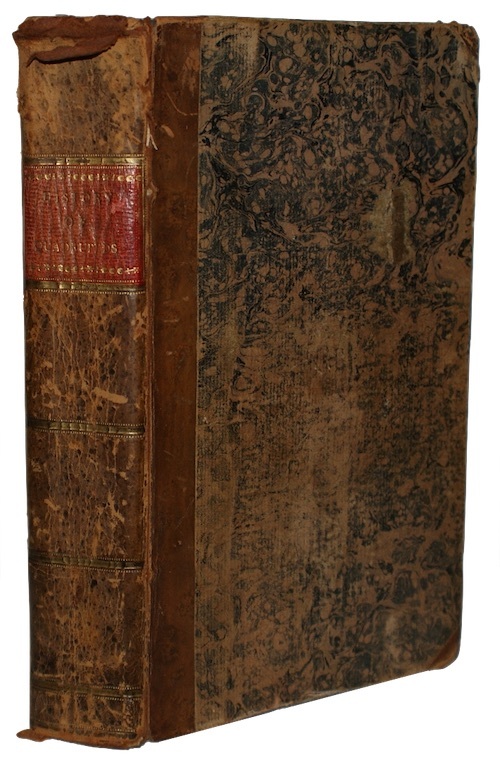 Published and Sold, Wholesale by Lumsden & Son, [s.d., c.1820]. pp. Illustrated with numerous woodcuts in the text. 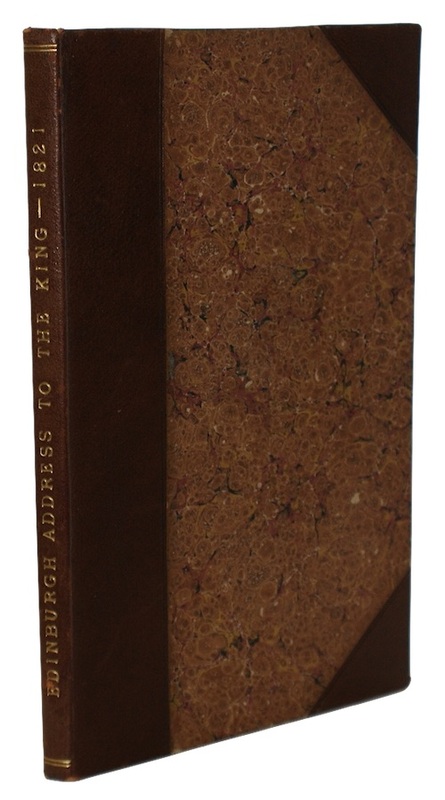 Original publisher's brown paper wrappers, title in manuscript to upper cover. 32mo. Contemporary gilt-tooled green morocco. A trifle rubbed. Marbled endpapers, very occasional light marking to wrappers, overall internally clean and crisp. CHATTERJEE, Bankim Chandra. 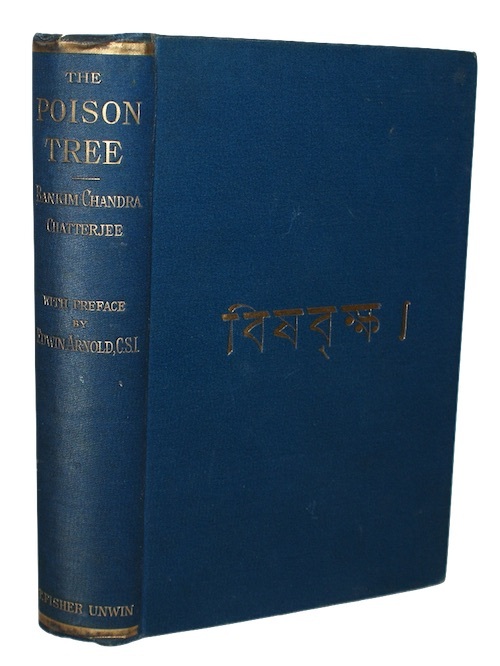 The poison tree: A Tale of Hindu Life in Bengal. T. Fisher Unwin. 1884. 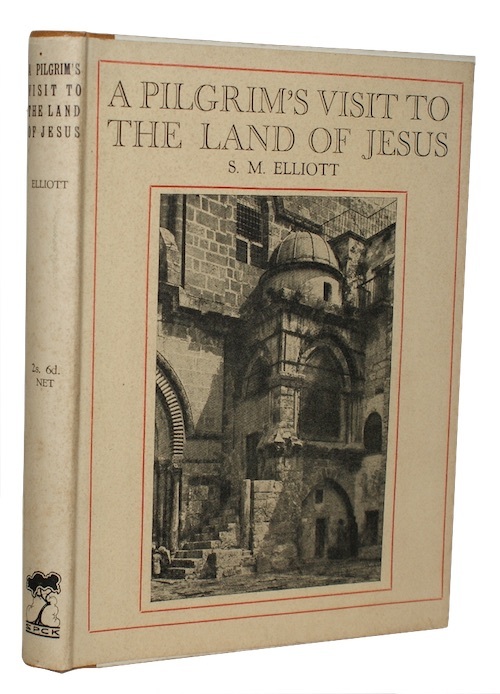 First edition in English. xiv, , 318pp, . With half-title and a terminal publisher's advertisement catalogue. Original publisher's blue cloth, lettered in gilt. Lightly rubbed, fore-edge foxed. Decorated endpapers, armorial bookplate of Roberti Comitis de Crewe to FEP, very occasional light spotting. [THE KHALSA TRACT SOCIETY]. 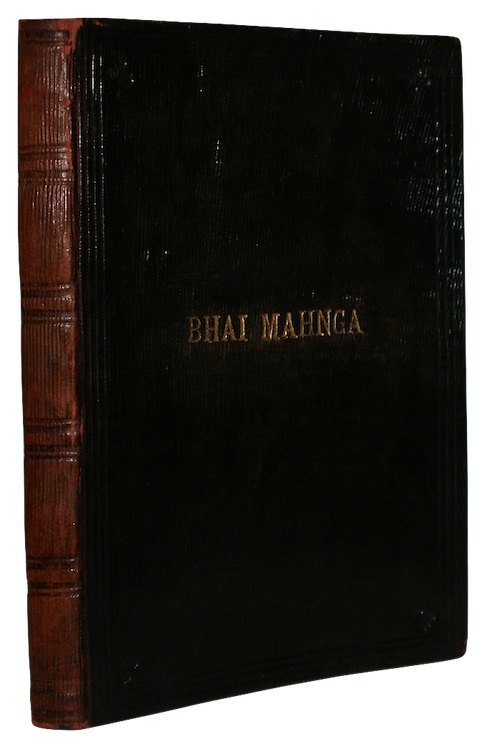 Bhai mahnga: or the search after truth. Published by The Chief Khalsa Diwan. 1911. First edition in English. 120pp. Early twentieth-century limp calf, lettered in gilt, original publisher's printed drab paper wrappers bound-in. Extremities sunned and lightly rubbed. Armorial bookplate of Roberti Comitis de Crewe to FEP, internally clean and crisp, a near fine copy. Presentation copy; inscribed to front blank fly-leaf; 'Presented to / the Right Hon'ble Lord Crewe / H.I.M. Secretary of State / for India / with / their respectful regards / by / The Chief Khalsa Diwan / Coronation Durbar / Delhi / 1911'. D'ALWIS, James. 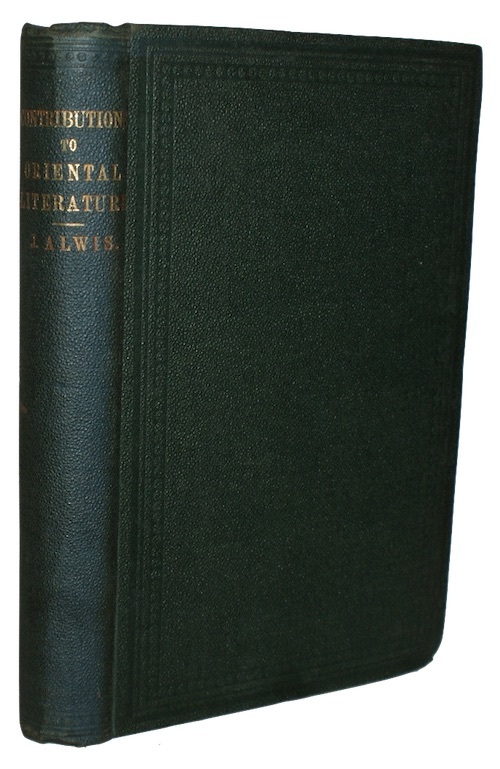 Contributions to oriental literature; or, the leisure hours. Printed at the Government Press. 1863. First edition. In two parts. xv, , 264, . With half-title. Unopened in original publisher's blind-stamped green buckram, lettered in gilt. A trifle rubbed, lightly marked. Internally clean and crisp, armorial bookplate of Roberti Comitis de Crewe to FEP, ink gift inscription to head of first contents leaf; 'To Lord Houghton / with / (?) best / compls. / Ceylon / Dec. 15. 65'. MORRIS, Rev. John Brande. An essay towards the conversion of learned and philosophical hindus: to which the prize offered through the lord bishop of calcutta has been adjudged By the University of Oxford... Printed for J. G. F. & J. Rivington. 1843. First edition. viii, 402pp, . With a terminal publisher's advertisement leaf. Original publisher's blind-stamped brown cloth, lettered in gilt. Marked and sunned. Armorial bookplate of Roberti Comitis de Crewe to FEP, internally clean and crisp. HOARE, Sir Samuel. 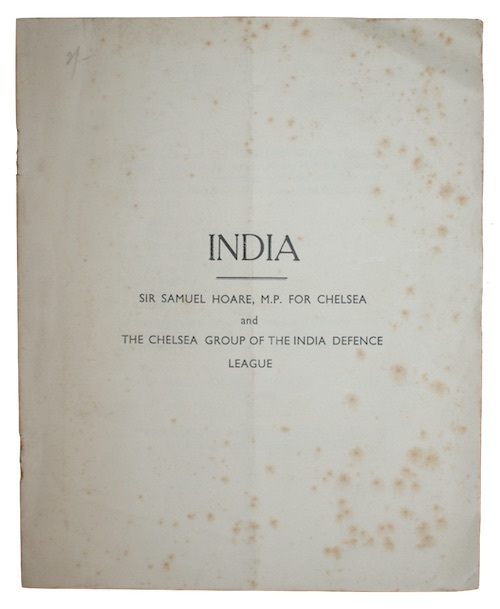 CHELSEA GROUP OF THE INDIA DEFENCE LEAGUE. India. [s.n.]. . First edition. pp. Stapled, as issued. Creased and foxed. SIMON, Sir John [Allsebrook]. 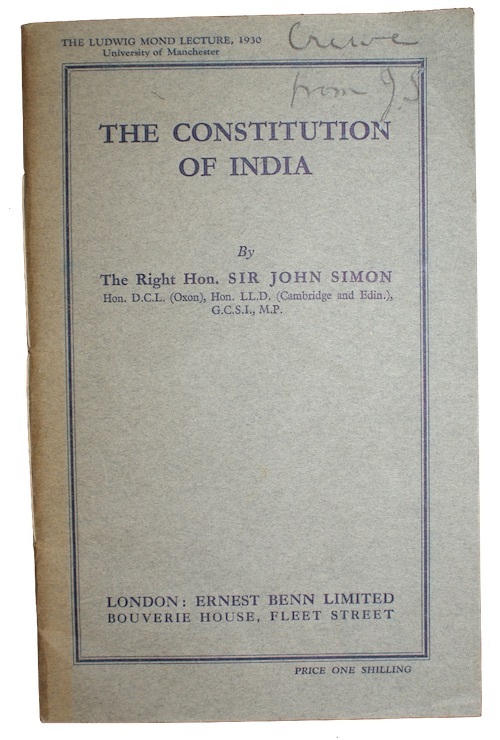 The constitution of india. [Ernest Benn]. . First edition. 26pp, . With half-title. Stitched, as issued, in original publisher's drab printed paper wrappers. Extremities a trifle sunned and creased. Internally immaculate, a near fine copy. Publisher's advertisement slip loosely inserted. Presentation copy, inscribed to head of upper panel; 'Crewe / from J. S.'. THE AUTHOR OF "BRIGHTON". Margate: a humorous poem. William Kidd. 1831. First edition. 36pp. With a wood-engraved frontispiece, six full-page wood-engravings in the text, and two wood-engraved vignettes from designs by Robert Cruikshank. Original publisher's yellow printed paper wrappers. Lightly dust-soiled, chipping to spine. Very occasional spotting. RUSSELL, Richard. 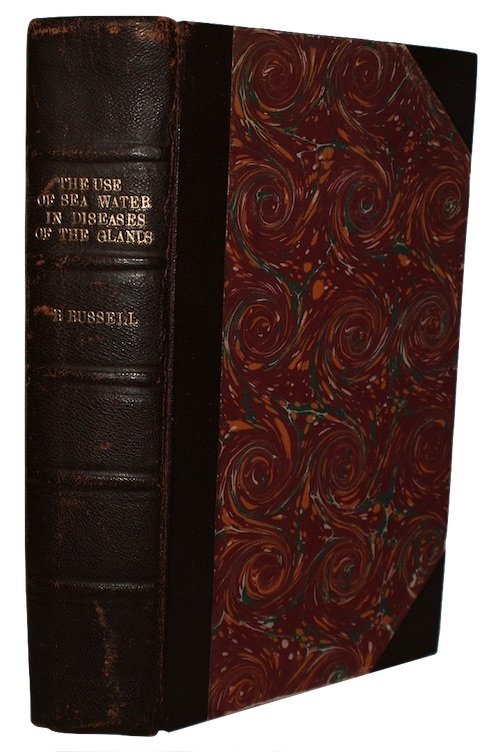 A dissertation concerning the use of sea water In Diseases of the glands, &c. to which is added An epistolary dissertation To R. Frewin, M. D.. 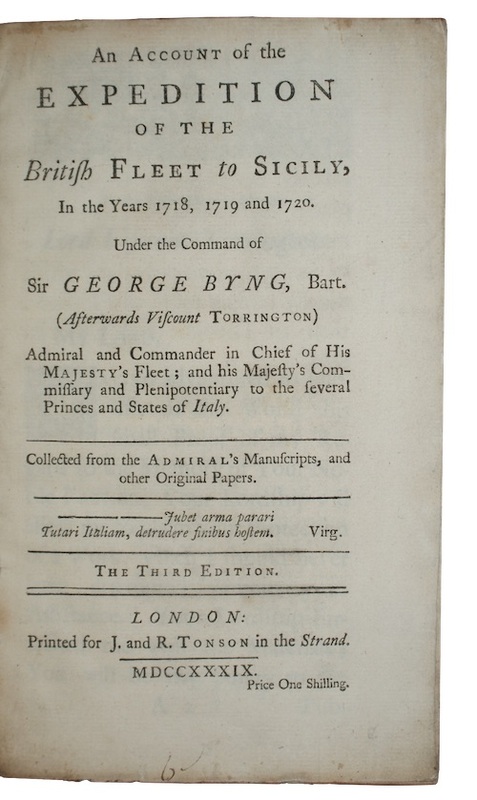 Printed at the Theatre: and Sold by James Fletcher...and J. and J. Rivington. 1753. First edition. , xv, , 398pp, . With an initial imprimatur leaf, a terminal corrigenda leaf, and seven engraved plates. Recent half-calf, marbled boards, lettered in gilt. Rubbed. Internally clean and crisp. From the library of British physiologist John Yudkin (1910-1995), with his bookplate to FEP. SCOTT, Sir Walter. Peveril du pic, par sir walter scott; traduit de l'anglais par le traducteur des romans historiques de sir walter scott. A la librarie de Charles Gosselin. 1823. First French edition. 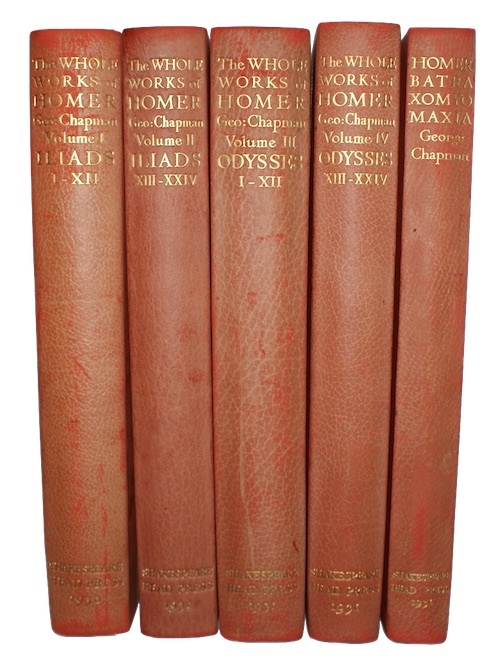 In five volumes. Contemporary half-vellum, green paper boards, manuscript lettering-pieces. Extremities rubbed and discoloured. Contemporary inked ownership inscriptions to recto of all FFEPs, loss to lower corners of two leaves of Vol. I, one of Vols. 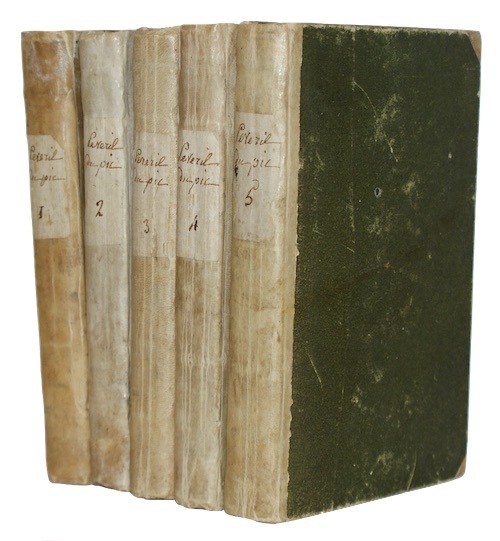 II and III respectively, and two of Vol. IV - just clipping text in some instances, Vol. V partially misbound, occasional spotting. [GILPIN, John]. [COWPER, William - Adaptations]. The life of John Gilpin, taken From divers Manuscripts in the Possession of the Family, and now published, for the first Time, by their Permission, for the Gratification of the Public Curiousity, respecting so extraordinary a Character... Printed for Messrs. Burnet, White, Burton, H. Whitestone, Byrne, Cash, M'Donnel, and Marchbank. 1785. First Dublin edition. viii, 144pp. Contemporary tree-calf, contrasting red morocco lettering-piece, gilt. Rubbed and marked, later sympathetic repairs to upper joint, short split to foot of lower joint. Inscriptions of George Gore, along with other pen-trials, to blank fly-leaves and dedication leaf, some marginal worming at end. [EPIGRAMS]. 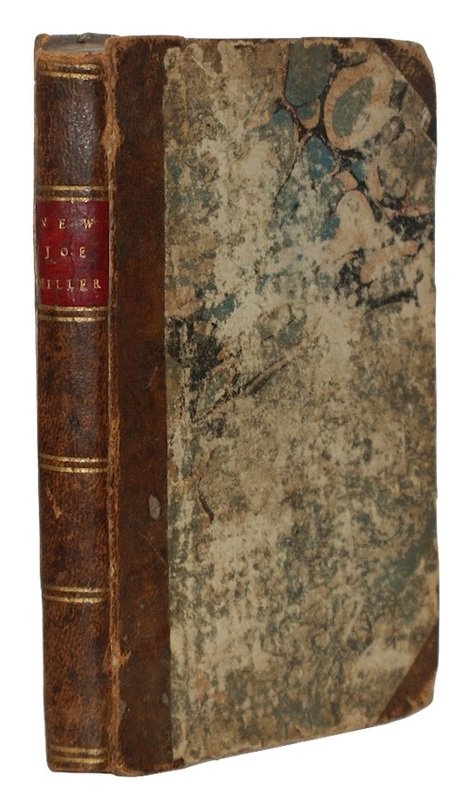 New joe miller; or, the tickler, containing five hundred good things, many of which are original, and the others selected from the best authors. Printed [by S. Gosnell] for James Ridgway. 1800. First edition. , 212pp. Contemporary half-calf, marbled boards, contrasting red morocco lettering-piece. Extremities worn, joints split, loss to head and foot of spine, some surface loss to boards. Late nineteenth-century inked ownership inscription and twentieth-century newspaper clipping to FEP, without front free-endpaper, offsetting to title-page, occasional loss/chipping to upper margins. WESTGARTH, William. 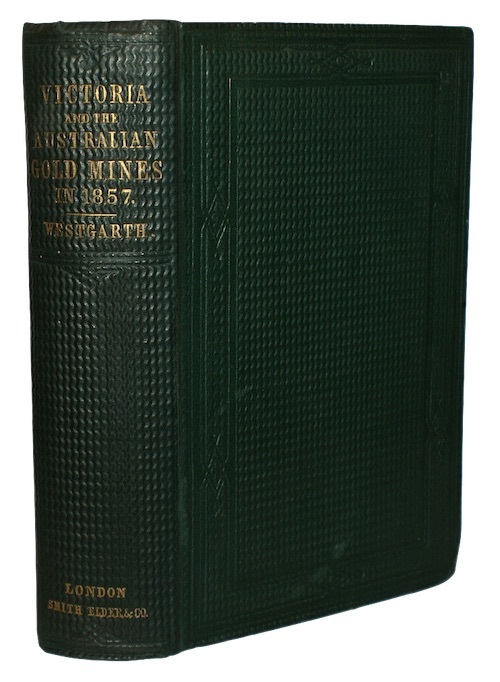 Victoria and the australian gold mines in 1857; with notes on the overland route from australia, via suez. Smith, Elder, and Co.. 1857. First edition. xvi, 466, , 16pp. With three engraved maps (two folding), and a terminal publisher's advertisement catalogue. 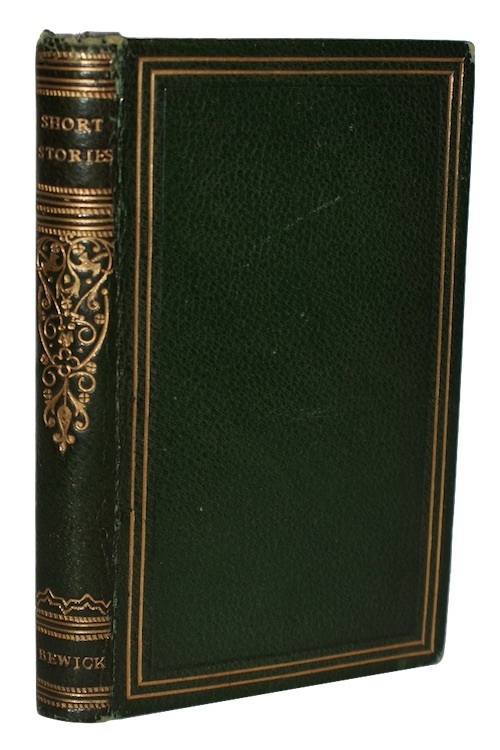 Original publisher's blind-stamped green cloth, lettered in gilt. Very slight rubbing to extremities. Light offsetting, else internally immaculate, a fine copy. Presentation copy, inscribed to recto of FFEP; 'With the author's compliments'. SALLUST. C. sallustii crispi Quae extant. In usum serenissimi galliarum delphini, diligenter recensuit, & Notulas addidit daniel crispinus. Apud Fredericum Leonard Typographum Regis, Serenissimi Delphini, & Cleri Gallicani. 1674.
, 234pp, . With an engraved frontispiece. Contemporary gilt-tooled speckled calf, contrasting red morocco lettering-piece. Extremities rubbed and a trifle marked, slight splitting to lower joint. Very occasional pen-trials/short tears to margins, overall internally clean and crisp.